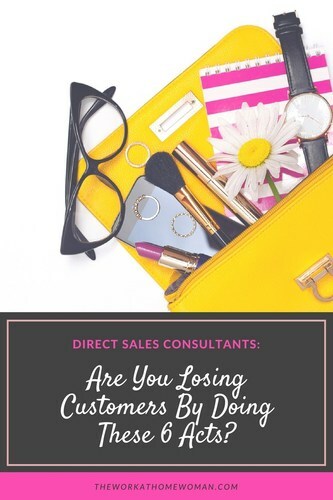 You are here: Home / Direct Sales / Direct Sales Consultants: Are You Losing Customers By Doing These 6 Acts? Over the years, I have hosted numerous in-home parties for direct sales consultants, as well as I’ve been to my fair share of parties. Even though I’ve never been a direct sales consultant myself, through my experiences, directly and indirectly, I have learned a lot about the direct sales industry. Because I work with so many direct sales consultants on a daily basis, and because they are all looking to get more customers and make more sales, I decided to share my personal experiences. Here are six ways direct sales consultants are losing customers and sales. The easiest way to turn a customer off is by being too aggressive. Nobody likes to be pressured into something that they don’t want to do. When trying to make the sale or book the show, be authentic, be real and be honest. Let the customer know what perks they will receive – not what you need them to do. And don’t take advantage of people’s email addresses – always ask before subscribing someone to your newsletter. Nothing is worse than when you’re anxious about getting your new item, and it doesn’t arrive promptly. If you know an item is out of stock, let the customer know in advance and give them a time frame as to when it should come in. Along with this, if an order is incorrect, apologize and process the correct order promptly. Keeping the lines of communication open lets the customer know that you haven’t forgotten about them and that their business is a priority to you. I’ve hosted a couple of shows, where friends expressed a soft interest in becoming a consultant. And guess what? Neither was followed up with by the consultant. Keep notes of people who expressed an interest and follow-up by email. Let them know you’re available to answer questions. If they express a greater interest invite them out to coffee to discuss the opportunity. Sometimes customers will make special requests such as, “Can you input this order on Friday when I get paid”? Or “Can you ship these items to two different addresses”? If you’re able to accommodate special requests, make sure that you follow through on them. A friend had this happen to her, where she asked for the order to be processed a few days later to accommodate her pay schedule. The direct sales consultant forgot to input the order at all and my friend, very annoyed, decided to cancel the very large order. 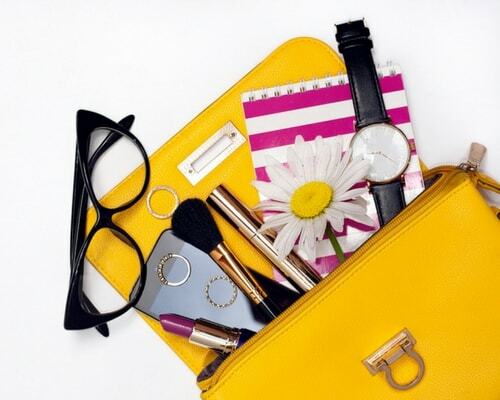 Make sure you’re using organization methods to keep up with important details. After you host the show, you should immediately enter your orders into the computer. This way you can communicate with your customers when their items will be arriving. Many times customers order items for birthdays or holidays, and they need to know that the item will get there on time. I’ve had it happen a couple of times, where the consultant did not input the order until a few days later only to find out that the specific item was back ordered. Had I known in advance, I could have chosen a new item for the intended gift, but instead, due to time constraints the order was canceled and I shopped elsewhere. We all know that customers can be demanding, but you should never let it affect the way you respond. Being rude, abrupt and acting put out by questions and requests will lead you down the road of bad lip service. Treat your customers with respect and dignity; this is the way to build long-lasting relationships. And lastly, watch your use of exclamation marks in emails, using repeated exclamation marks in your message makes you sound annoyed and angry as if you were shouting. If you’re questioning if an exclamation mark is appropriate, leave it out altogether, better safe than inadvertently sending the wrong message. By following these simple guidelines, you can be one step closer to attracting more customer and gaining more sales. What tips do you have for direct sales consultants? As someone in direct sales our founder always said if you aren’t 10 min early, you’re 5 min late!